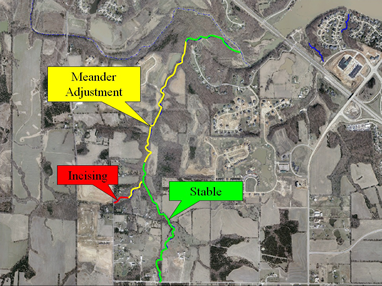 The City of Lake Saint Louis hired Intuition & Logic to perform a geomorphic analysis of six major tributaries draining into the city’s 550-acre lake. 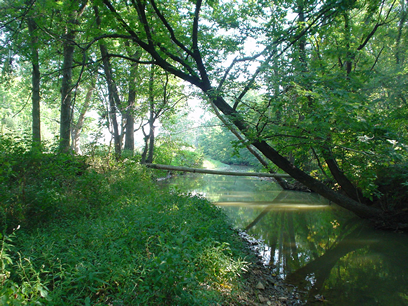 Concerned with streambank erosion and increased sedimentation of the lake, the city needed concept-level interventions and management recommendations to develop a comprehensive stormwater master plan for future projects and budgeting. 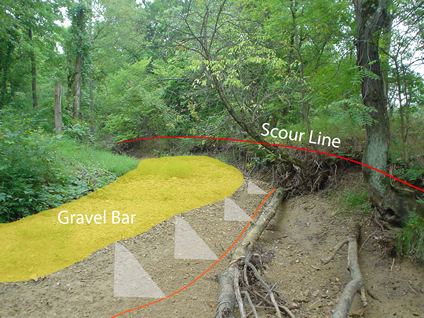 Intuition & Logic investigated more than 25,000 feet of open channel along six tributaries, evaluated the physical stability of each stream, and determined the dominant fluvial process. 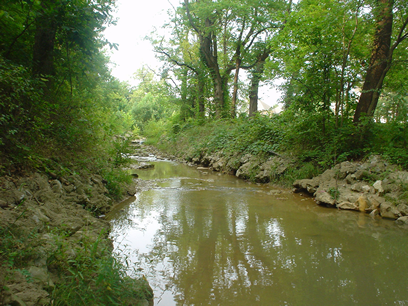 By identifying these things, we were able to distinguish local from systemic problems, and developed concept-level interventions and management recommendations to treat the driving forces behind erosion and deposition. The analysis results were presented to the city and the presentation was submitted as the project report.